Another short day. Spent another morning getting bike serviced. 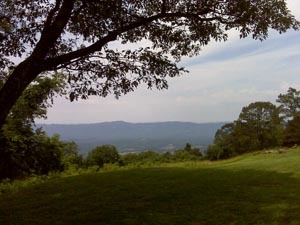 Shenandoah Park is a must do ride for bikers and photographers. There are plenty of bends and vistas beyond many of them. And that's just the first 25% of the road. Started getting late so I headed down the mountain for the night. Cell service is sketchy up there and normal down here. Tomorrow I'll climb back up for more.